I spoke yesterday of how much I love a good list, and gave some suggested reading lists for nine year olds +. I’ve been compiling reading lists for different age groups for many years now, mostly in my head, but occasionally I take the time to produce an actual list and I always find them useful, and I hope others do also. 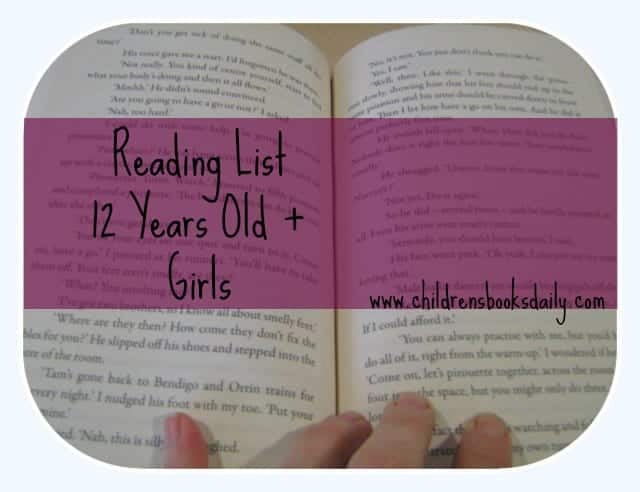 Reading lists are perfect for encouraging reluctant readers to ‘have a go’, or for having a ready supply of book suggestions for avid readers. Reading lists can be given to grandparents for present ideas, can be taken to your local library to place books on hold, or used as a shopping list whether you’re shopping with Booktopia, Amazon, Book Depository or your local independent bookstore. Today I have four lists, all of which are for one of my favourite reading age groups. I’ve labelled them 12 years old +, but this will of course be dependent on reading ability and maturity level. I find this age range so fascinating. They are at that tricky time in their ‘reading life’ where they feel too grown up for Tashi or fairy books, but are not yet ready for adult, or even young adult (YA) books. Some in this age range will love the more mature subject matter in YA books, whilst many others are not yet ready to tackle the often confronting world issues or mature subjects which can feature in YA books. I run a Mother Daughter Book Club for this age group and I love it! Literature is a wonderful way to explore ‘issues’. Literature deals with the most complex and sometimes upsetting of topics. High quality writing allows us to see things from the perspective of others, to delve inside the head or body of a character who may be vastly different from ourselves, or to see our life and its issues reflected in a literary character. For a child there can be enormous comfort in finding that someone/a character thinks and feels the same way they do, or who has been through the same life experiences they have. A few readers yesterday very rightly asked why I split the reading lists into male and female lists. On the actual lists they are not labelled as male or female (the file does contain this distinction) as they can indeed be used with both sexes. However, having worked in a co-ed, then a boys school, now a girls school…I have witnessed first-hand the differences in reading preferences. This is an over generalisation of course and there are exceptions to the rule. I’ve also read enough YA over the years to note that publishers often target books at males or females, again there are always exceptions. Please use the lists as best fits your child, student or library patrons! Links to PDF lists are below. Special thanks to Trisha Buckley who has helped with most of the titles on the ‘male’ lists. As a TL working in a secondary boys school for many years now she is far more wised up than I. She is also a former CBCA judge, a blogger, book reviewer and all round obsessive reader. Books recommended in these lists can be purchased through Australian based online bookstore Booktopia. If you live in the US or would prefer to use Amazon click here. If you live in the UK or would prefer to use Book Depository click here. I have just discovered your website and am blown away with what I have discovered! For a start it’s encouraging for me to see that I have the majority of books you have recommended already living in my library collection. My biggest struggle is finding worthy books for the 12+ students. I feel a great responsibility to the students in my care to provide quality books yet ones that the students will come back for time and time again. 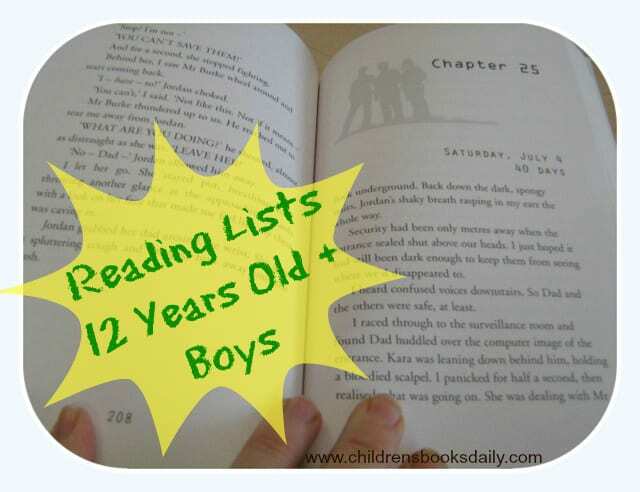 Have just read your list for 12+ boys and girls. There are some new ones there that I will need to check. Tell me, how do you become familiar with the books for this older level apart from research into author, check reviews etc. Wonderful to connect with another Queenslander. I grew up in Toowoomba and my family live in Brisbane, my old stomping grounds!